If your bananas are starting to go black, cut them into chunks, freeze them and use them in ice pops or smoothies. Peel the bananas and cut them into chunks, then place in the freezer until they are frozen solid. Place the frozen banana and mango in a blender and whizz to a thick purée. 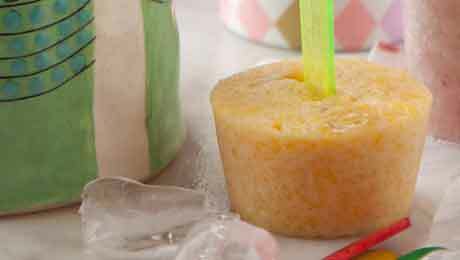 Pour into ice pop moulds and insert the ice pop sticks or spoons straightaway, as the mixture should already be firm enough to hold them.Place in the freezer until solid.